This remote indicator can be connected to any EVCO controller with remote port. Small digital thermometer available in 12VAC/DC or 230VAC operates with a NTC sensor..
Universal digital indicator to display values of temperature, humidity and pressure. 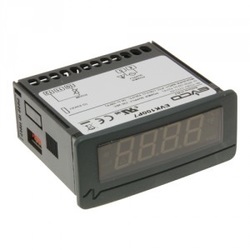 Digital display of humidity or pressure with analog input options of 0-10V or 4-20mA.